October 2018 Updates: Exciting times for IDAP! With several developments going on in full swing, we are thrilled to share exciting updates about IDAP with the community. Members of the IDAP community deserve a pat on their backs for the support they have shown and continue to show us. Our softcap target of 200,000,000 IDAP has been crossed and in a bear market like the one we face right now, it is a testament of the faith the community and our early investors have in the team and the project. We have received contributions from various investors residing in Europe, Australia, South America and Asia, once again affirming the global reach of the project. The team has worked with diligence, passion and ingenuity, and continues to do so. We are thankful and delighted with the support we have received. Welcome our new team member! 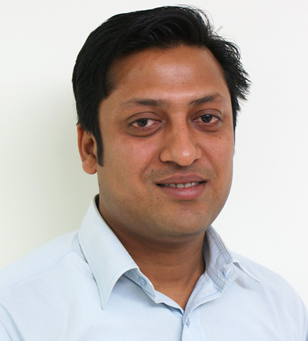 Please join us in welcoming Mr. Manish Ranjan, our Chief Solutions Architect and the newest addition to the IDAP team. He’s a proven technical and business leader, with an experience of 18 years in helping medium and large scale clients globally achieve their goals. We are extremely glad to have him and his expertise adds further credence to an already experienced team. More Good News to follow! The official IDAP TestNet (Simulated Trading Environment) is in the final stages of development and testing. We are very pleased to inform that the end-product is shaping to be quite amazing and we’ll soon release it for public use and feedback. 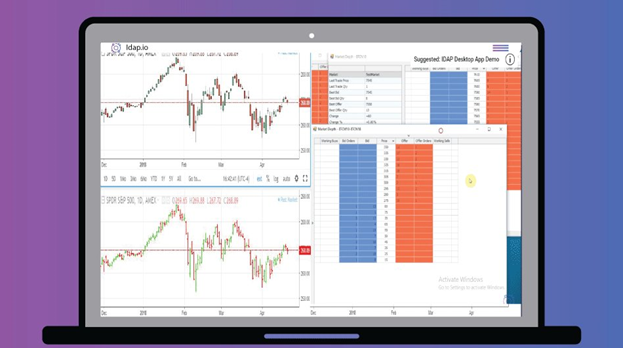 In a safe, risk-free environment, you’ll be able to trade crypto derivatives based on real-time market data, without staking any real cryptocurrencies. The various advanced features we are bringing with our exchange will all be available for users to try out on the TestNet! Web-based interface for accessing the IDAP Trading platform is also getting ready and will be released very soon after internal testing. You can take a sneak peak of the different themes that will be available once the Web App launches. The TestNet will not just provide users to engage in simulated crypto and crypto derivatives trading but also offer them a chance to win big while being a part of IDAP’s official Trading Competition. The contest will soon be announced, complete with detailed rules of participation and will go live soon after the TestNet launch. The token sale you have all been so eagerly waited for is due to happen this quarter. Exact dates, as well as other details, will be officially announced in the coming days and it is recommended to get yourself whitelisted by visiting the sign-up page right away. We have more than 30k sign-ups at the time of writing this article and several hundred participants are signing up every day, so get whitelisted fast! The IDAP team is working day and night towards the overall growth of the project. You can do your bit by staying updated about project related announcements and spreading the word about us on social media!